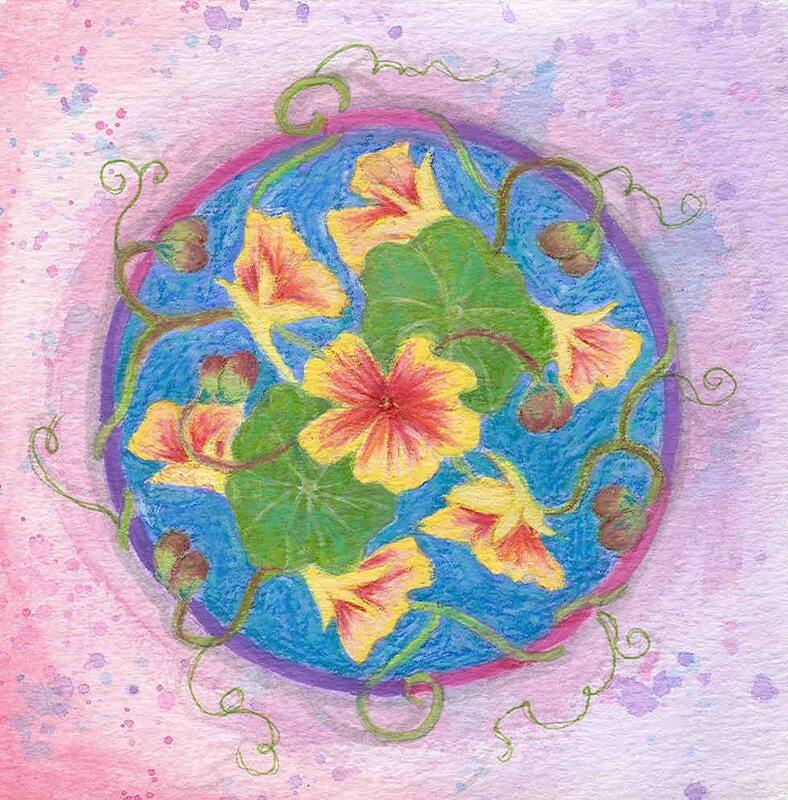 This is from an original design that I painted in watercolor and colored pencil. I want to start painting more mandalas. I find them relaxing to work on. The fun is never quite knowing how they'll turn out if you just let yourself go with the flow of them. Each notecard measures 5 1/2" x 4 1/4" and comes with a white envelope in a protective sleeve. Lovely greeting card. Arrived quickly. Thank you. Was very excited to get this card today, I can not wait to send it. The coloros on this notecard are fantastic. Great artwork.